Our services, Homes made for birders. Bed & Birding is a franchise company that licenses different Bird Friendly Bed & Breakfast partners to use its branded identity and materials to market their services to birders. The Bed & Birding partners are carefully appraised against a set of service quality criteria, in order to provide both comfortable and memorable accommodation of course, but also with careful attention to the specific needs of birders. 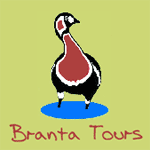 A significant advantage of the network to travelling birders is the ability to promptly select the right birding location for their birdwatching holidays, because choice of an appropriate Bed and Birding establishment guarantees the most convenient and dedicated accommodation designed especially for birders. We use the following criteria as a basis for classifying the Bed & Birding partners.